Earlier this spring, the kids and I spent a week by the beach. It was a little bit rainy and a whole lot windy but no one seemed to care. As long as we could feel the sand between our toes, splash in the warm Atlantic Ocean, and eat seafood AT EVERY MEAL, everyone was happy. We ate out once or twice but, as is the situation here, the fam prefers home cooking. I don’t know why I don’t make shrimp scampi more often – it is really easy. 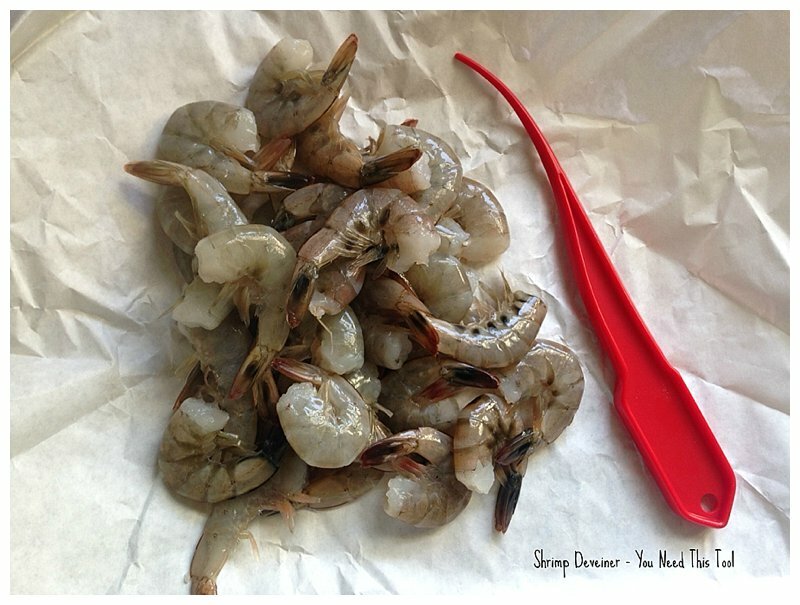 The hardest part is deveining and peeling the shrimp but now that I have a super cool shrimp peeling tool, the shrimp and I are getting along much better. I saw this shrimp tool hanging on the wall at the seafood store for the big price of $1.99. I was skeptical. $1.99. Red plastic. How useful could it be? The owner saw me eying it suspiciously and jumped right in – “You need that tool. Go to any restaurant around here and they’ll have a half dozen of those laying around.” He even graciously offered to demonstrate how it worked. It looked too good to be true – run the pointy end forcefully around the “spine” of the shrimp and push hard until the shell comes off, mainly on its own. I couldn’t believe how easy it was.